Born 20 Apr 1928; died 26 May 2003 at age 75. Karl Alex Müller is a Swiss physicist who shared (with J. Georg Bednorz) the 1987 Nobel Prize for Physics for their joint discovery of superconductivity in certain substances at higher temperatures than had previously been thought attainable. They startled the world by reporting superconductivity in a layered, ceramic material at a then-record-high temperature of 33 degrees above absolute zero. Their discovery set new research worldwide into related materials that yielded dozens of new superconductors, eventually reaching a transition temperature of 135 kelvin. Born 20 Apr 1918; died 20 Jul 2007 at age 89. Born 20 Apr 1915; died 4 Dec 1997 at age 82. South African-born American psychotherapist who helped usher in cognitive behavioral therapy during the 1960s; he devised a treatment to help desensitize patients with phobias by exposing them to their fears incrementally. He worked on systematic desensitization with a methodology designed to treat people with extreme anxiety about specific events, situations, things, or people. His approach involved developing a hierarchy of anxiety-provoking situations, learning relaxation techniques, then associating these situations with relaxation, beginning at the bottom, or least anxiety-provoking, part of the hierarchy. He founded the Association for Advancement of Behaviour Therapy and the Journal of Behavior Therapy. Born 20 Apr 1914; died 18 Jun 2010 at age 96. Born 20 Apr 1913; died 5 Nov 1976 at age 63. Phylogenetic Systematics, by Willi Hennig (Trans. Dwight Davis, Rainer Zangerl). - book suggestion. Born 20 Apr 1860; died 10 Mar 1953 at age 92. Born 20 Apr 1826; died 17 Sep 1909 at age 83. Born 20 Apr 1809; died 31 Dec 1868 at age 59. Scottish physicist noted for his research on heat conduction and glaciers. In 1836-44, he described the polarization (alignment of waves to vibrate in a plane) of radiant infrared heat by the mineral tourmaline, by transmission through a bundle of thin mica plates, and by reflection from the surfaces of a pile of mica plates. In 1846 he began experiments on the temperature of the Earth at different depths and in different soils near Edinburgh. Later he investigated the laws of heat conduction in bars, and in his last piece of work reported that iron conducts heat less efficiently as its temperature rises. He was among the first to study glacier movements and was involved with Tyndall in the great glacier controversy of the 1850s. Born 20 Apr 1798; died 22 Jun 1875 at age 77. Canadian geologist, known as the “Father of Canadian Geology.” While working in Wales at his uncle's coal and copper-smelting business, he made geologic maps of coalfields in Wales, pursuing a desire to understand the sources of coal and ores. He noted the relationship between the underlying clay layers and fossil tree roots with local coal beds. This substantiated the theory that coal beds are formed in place. When he founded the Geological Survey of Canada, the country's geology was virtually unknown. He served as its director (1842-69) and produced the monumental Report on the Geology of Canada (1863), recording 20 years of his research, fieldwork, mapping, reports, and examation of fossil and mineral specimens. He was knighted by Queen Victoria. Canada's highest mountain is named for him. 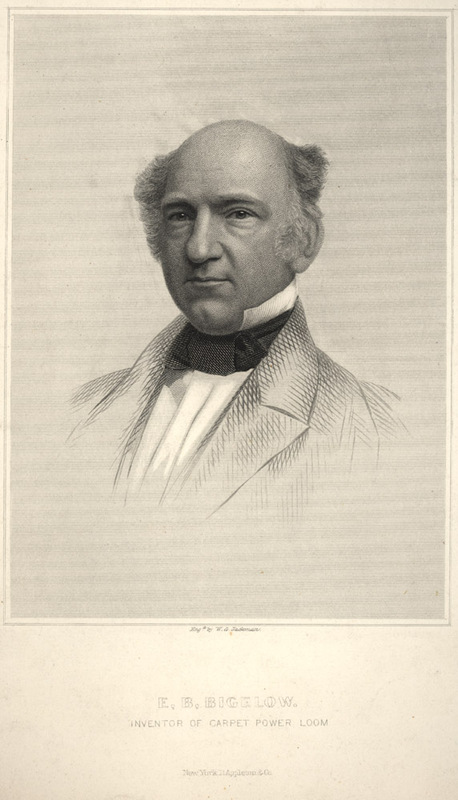 William Edmond Logan (1798-1875): Knighted Canadian Geologist, by C. Gordon Winder. - book suggestion. Born 20 Apr 1786; died 24 Feb 1875 at age 88. French engineer and inventor of the wire-cable suspension bridge and the tubular steam-engine boiler. Séguin (a nephew of Joseph Montgolfier, the pioneer balloonist) developed an early interest in machinery. By 1822, he was studying the strength of wire cables. With his brother Camille he studied the principles of the suspension bridge, at that time built with chain cables. In 1824, they built a bridge suspended from cables of parallel wire strands over the Rhône River at Tournon, the first such bridge, then copied around the world. Séguin also improved locomotive efficiency with his invention of the multiple fire-tube boiler, in place of the water-tube boiler used by the earlier steam engines. The brothers collaborated in the construction of the first French railroad (1824-33). Born 20 Apr 1745; died 25 Oct 1826 at age 81. Born 20 Apr 1739; died 22 Jul 1823 at age 84. American traveller and naturalist, the son of botanist John Bartram, whom he accompanied on botanical expeditions. From 1773, William Bartram made his own exploration of several Southern states, observing the wildlife: birds, animals, fishes as well as plants. He also made notes on life of the Indians. He wrote about his journeys in much the reprinted Travels (1791). Alexander Wilson, a Scottish immigrant to America, was inspired to become a leading ornithologist with Bartram's coaching. When Benjamin Smith Barton authored the first botanical textbook published in the U.S., Elements of Botany (1803), Bartram illustrated it. Died 20 Apr 1940 at age 84 (born 24 May 1855). Magic and Fetishism, by Alfred Cort Haddon. - book suggestion. Died 20 Apr 1940 at age 85 (born 25 Apr 1854). American inventor of various sound-recording instruments, including the photophone (1880, with Alexander Graham Bell), an instrument for transmitting sound to a distance through the agency of light, using sensitive selenium cells. He also developed the Graphophone (1881, patented 1886; with Chichester A. Bell, a cousin of Alexander Graham Bell). This greatly improved on the tinfoil surface and rigid stylus then used by Thomas Edison. Tainter devising a wax-coated cardboard cylinder and a flexible recording stylus which incised the grooves (rather than embossing) to achieve better reproduction, making the phonograph and the dictagraph commercially possible. Died 20 Apr 1933 at age 86 (born 1 Dec 1846). American archaeologist, artist, and museum director who helped to establish professional archaeology in the United States. He was a geologist and outstanding illustrator who turned to archaeology while working for the U.S. Geological Survey (1875) and became an expert on southwestern Indian art and prehistoric ceramics and stone implements. His knowledge of geology, archaeology, anthropology, and ethnology made him a master in the scientific documentation of landscapes. His achievements included important publications on Indian cultures in prehistory and on Mayan civilization at Chichen Itza. He was chief of the Bureau of American Ethnology (1902-09) and director of the National Gallery of Art (1920-32). Died 20 Apr 1919 at age 72 (born 5 Jan 1847). American geologist who advanced the study of mining geology from physical, chemical, and mathematical approaches. Becker's main interest was the study of the Earth's interior, and his theoretical work on this topic was presented in a series of important papers in the 1890s; his most important theoretical contribution was Finite Homogeneous Strain, Flow, and Rupture of Rocks (1893). Died 20 Apr 1918 at age 67 (born 6 Jun 1850). Died 20 Apr 1899 at age 67 (born 12 Mar 1832). French organic chemist and mineralogist who, with the American chemist James Mason Crafts, discovered in 1877 the chemical process known as the Friedel-Crafts reaction. In 1856, after studying in Strasburg, Friedel was appointed conservator of the mineralogical collections at the Superior National School of Mines. In 1871 he began to lecture at the École Normale and in 1876 became professor of mineralogy at the Sorbonne, but on the death of Wurtz in 1884 he exchanged that position for the chair of organic chemistry. He collaborated in efforts to form diamonds artificially, studied the pyroelectric properties of crystals, determined crystallographic constants, and did research on ketone and aldehyde compounds. Died 20 Apr 1868 at age 74 (born 10 Jun 1793). Died 20 Apr 1859 at age 71 (born 21 Mar 1788). Died 20 Apr 1856 at age 68 (born 18 Oct 1787). Died 20 Apr 1794 at age 64 (born 16 Jan 1730). Died 20 Apr 1786 at age 21 (born 17 Sep 1764). English astronomer who was the first to notice that some variable stars were periodic.Born a deaf-mute, after a proper education he was able to read lips and to speak. He was the first to calculate the period of Algol to 68 hours and 50 minutes, where the star was changing its brightness by more than a magnitude as seen from Earth. He was also first to correctly propose that the distant sun is periodically occulted by a dark body. John Goodricke was admitted to the Royal Society on 16 April 1786, when 21 years old. He didn't recognized this honour, because he died four days later, in York, by pneumonia. Died 20 Apr 1707 at age 51 (born 13 Aug 1655). German inventor, maker of musical instruments and inventor of the clarinet. He made improvements to the chalumeau, the first true single reed instrument, of the late 1600's. He and his son Jacob are attributed with innovating the speaker key which gave the clarinet a larger register. The clarinet overblows at the 12th. That is, when playing a C without the speaker key, then add the speaker key, the note that sounds is a G, which is the interval of a twelfth. The other woodwind instruments overblow at the octave. The clarinet bore is cylindrical, whereas every other woodwind instrument has a conical bore (even the flute!). This is why the clarinet overblows at the twelfth and is so laden with overtones, which contributes to its unique sound. In 1964, the first picturephone transcontinental call was made between New York City and Anaheim, California. The device consisted of a telephone handset and a small, matching TV. It allowed telephone users to see each other in fuzzy video images as they carried on a conversation.When Picturephone debuted in 1964, at the World's Fair, prices ranged from $16 to $27 for a three-minute call between special booths AT&T set up in New York, Washington and Chicago. It never became popular after it was briefly offered commercially in Chicago. In 1940, the first U.S. electron misroscope was demonstrated in Philadelphia, Pennsylvania. It was able to produce a magnification of 100,000 times, in an apparatus 10 feet high and weighing half a ton. The inventor was Dr. Vladimir Zworykin at the RCA laboratories, Camden, New Jersey. In 1902, Pierre and Marie Curie isolated one gram of radium, the first sample of the radioactive element. They had refined it from eight tons of pitchblende ore.
Argonaut: The Submarine Legacy of Simon Lake, by John J. Poluhowich. - book suggestion. In 1862, the first test of pasteurization was completed by Louis Pasteur and Claude Bernard. Jars, sealed since 3 Mar, were opened at a meeting of the French Academy of Sciences. They containing dog's blood and urine that had been maintained at an elevated temperature of 30ºC. Neither liquid showed observable decay or fermentation. This suggested the possibility of heating foods sufficiently to kill germs without significantly altering their chemical composition. Pasteurization was applied by brewers. By heating the finished beer to above 160ºF, to kill harmful bacteria, a germ-free beer could be produced which did not require constant refrigeration for lengthy shipment or storage. It also came to be used for milk and other products. In 1832, what is now Hot Springs National Park in Arkansas was established as a reservation by an act of Congress. Its 911 acres encompassed 46 hot springs. It was not designated as a National Park until 4 Mar 1921. Yellowstone National Park was the first to be declared a U.S. National Park (authorized on 1 Mar 1872). Thus, Hot Springs is the nation's oldest national park, though not the first to carry the "National Park" designation. The park is wrapped around the core of the city of Hot Springs retaining much of the experience of early-1900s health-seekers who came to take thermal baths in the city's bathhouses and hotels. American Indian tribes had used the thermal springs for centuries before the territory was settled by whites.